Would you like a little rock in your whiskey? Another of my late (but awesome) Christmas presents from my parents was a set of Whiskey Stones. 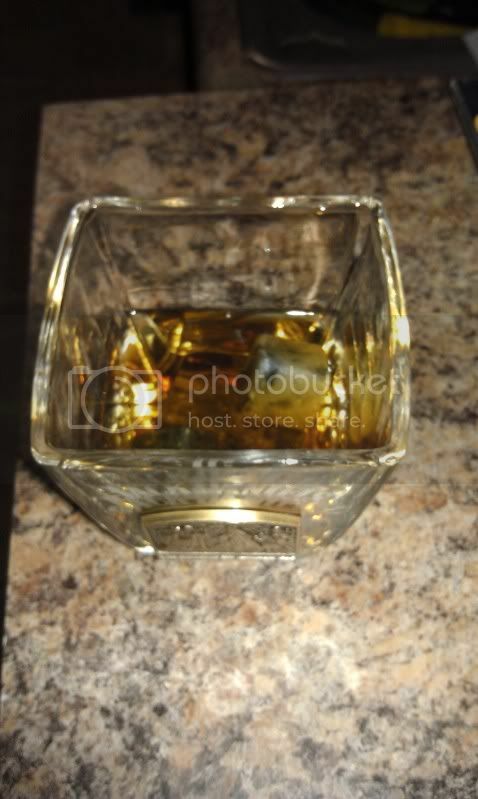 What are Whiskey Stones? They are rocks that you put in your whiskey of course! So the idea is simple, ice is made out of water and water is watery and watery things will water down your precious Whiskey! So instead you take polished stones and put them in your freezer. They will then keep your Whiskey chilled while you sip it, but will not water down your precious alcohol. My Jack Daniels is chillin! Yesterday I took the opportunity to try out the stones and sure enough I was sipping my Jack Daniels in style. 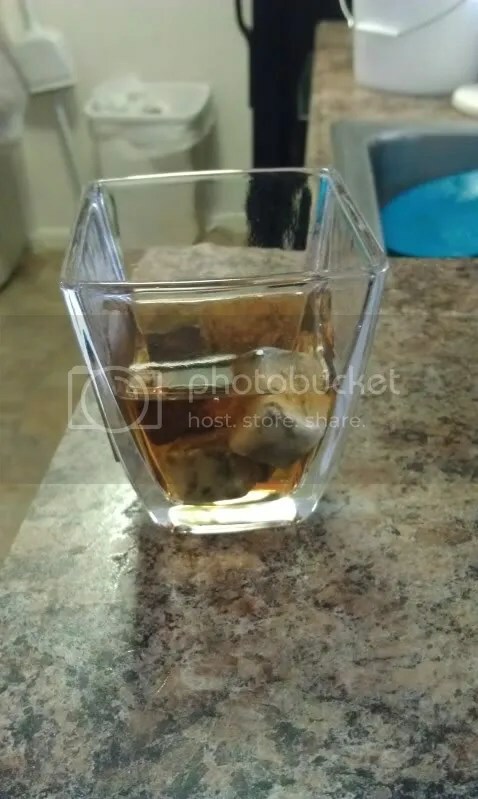 Plus I get to say I have rocks in my Whiskey! I do! In fact I received two more for Christmas this year bringing my total up to 16 non digital versions of the game! I also have it on my Android smart phone and for my old Nintendo DS! This year I got an AWESOME Christmas present from the beautiful JC that I’ve used multiple times already and can see myself using it nearly everyday! 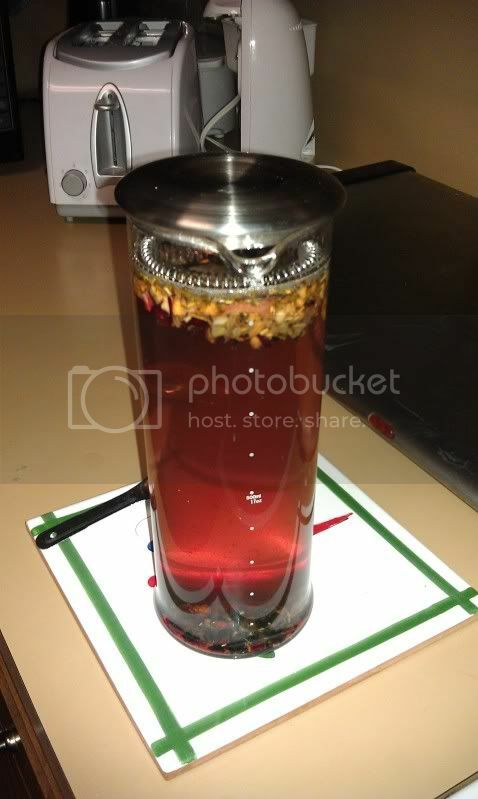 She got me a Glass Tea Maker from Teavana and a selection of Tea to make in it! 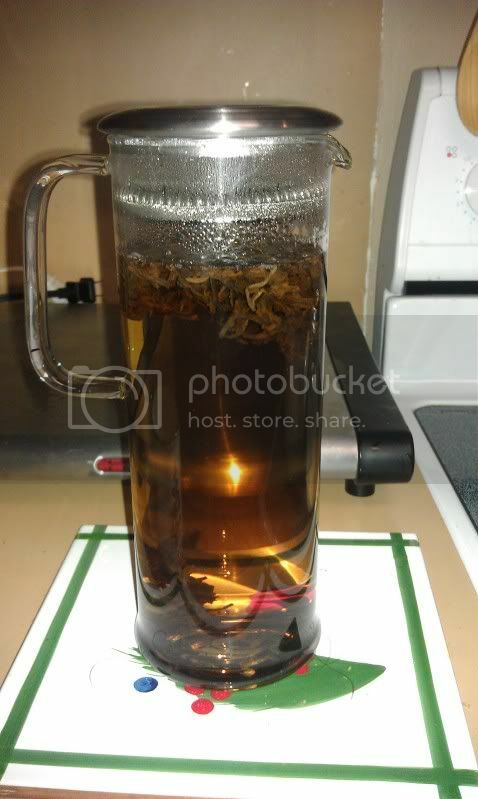 This maker holds 34 ounces of tea, and strains as you pour! Just bring the water to temperature and pour over the tea. Best part about this great loose leaf tea, is you can get more than one steeping! More than once I’ve brewed up some hot tea, drank it, added more hot water then threw it in the fridge for iced tea the next day! Awesome, awesome awesome gift! Thanks sweetie! I love you!! Unfortunately, this means I will not be celebrating with my own family. Sad days. I do have gifts for all of them and we’ll do Christmas in the new year. But this year will be a Texas style Christmas. I imagine lots of hats and belt buckles. Maybe some shot guns and steak ;). I wish everyone a Happy Holidays!!!!! Miss yesterday’s Disney Parks Christmas Parade? Watch a “Tilt Shift” version of it. It’ll only take two minutes of your life and you won’t actually have to hear Miley Cyrus or the Jonas Brothers!! Merry Christmas and Happy Holidays to everyone out there! To those I love and to those I don’t even know, I wish for you to have what you want and need this Holiday season! So, for Christmas this year I pretty much only asked for one thing. A new laptop. My personal laptop that I used at work finally bit the dust. It was an old (cheap) used Dell that had slowly begun to die. The screen had lost a large area on the right and it was still running Windows 2K (yes, 2k!). One day I went to turn it on and it just didn’t work. The hard drive had gone to that giant server room in the sky…or something like that. So, my parents are amazing. Straight up! AMAZING! The reason I’m able to start blogging again (and surf any internet at work) is that they have given me an early birthday present. A Toshiba Satellite A505! So it is a little later than I wanted, but I thought I would recap some of my Christmas presents from X-Mas 2008! First, the BIG present this year is that the parents and I now have seasonal passes to Walt Disney World! This means that we have passes to all four Disney World parks (Magic Kingdom, Epcot, Hollywood Studios and Animal Kingdom), Universal Orlando parks (Universal and Islands of Adventure) and the Florida Busch Entertainment parks (Busch Gardens Africa, Sea World Orlando and Aquatica). This guy is Canadian, which means he is funny. He does a lot of musical crude humor and I stumbled across a couple Holiday videos he made and decided to share with you! Make sure to check past the break for the second one! I really do! Merry Christmas to everyone and I hope everyone is enjoying the day with their families and received everything they were hoping for!! !